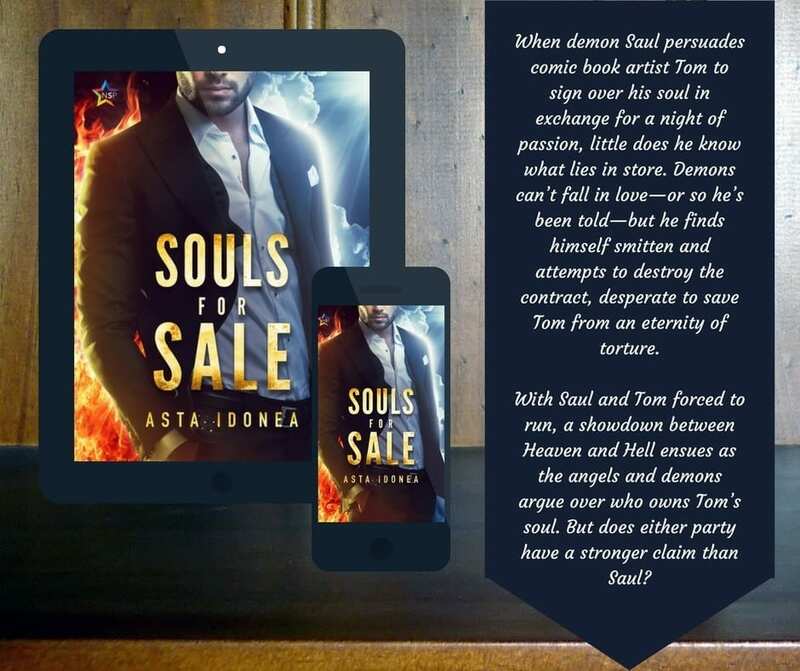 I’m pleased to announce that Asta Idonea has a new paranormal MM romance out from NineStar Press called Souls for Sale. Her books are pretty much a guaranteed good read, and the summary of this one sounds fascinating. Read on for more! Read an excerpt on Tablo or listen to the one below. You can also listen to an excerpt on YouTube. 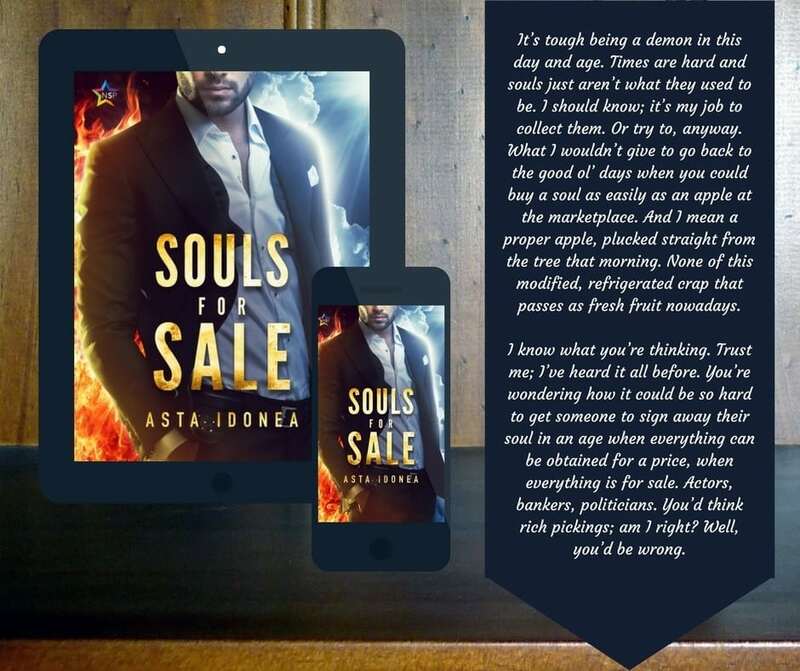 Looking for more good reads? 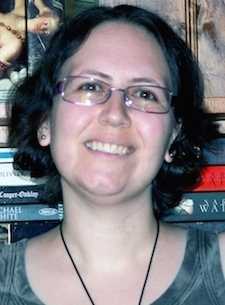 Check out my other release posts and book reviews.